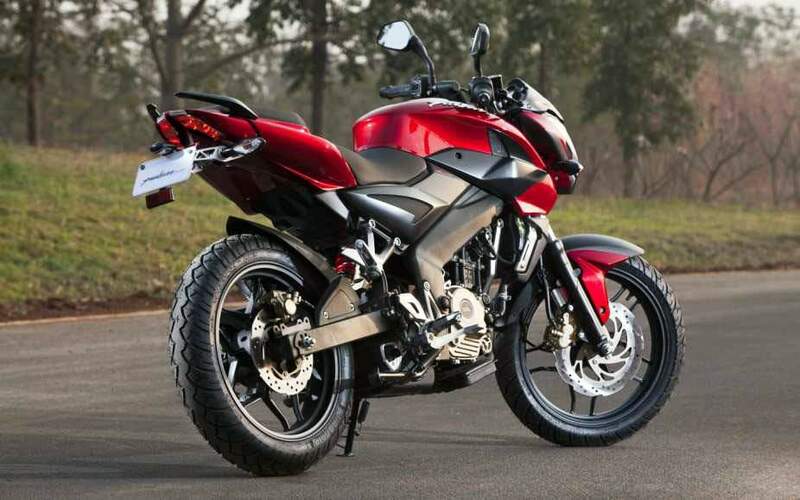 Bajaj Auto has unveiled its new naked model for the Indian market. The Bajaj Pulsar 200NS (Naked Sport) is shares many of the same components of the also recently launched KTM Duke 200, but with a few cost-cutting measures. Bajaj, of course, owns a 39.26% share of KTM so such crossover of technology should be expected.KTM will be positioned as a premium brand while the Bajaj brand will be presented as a more-affordable alternative. 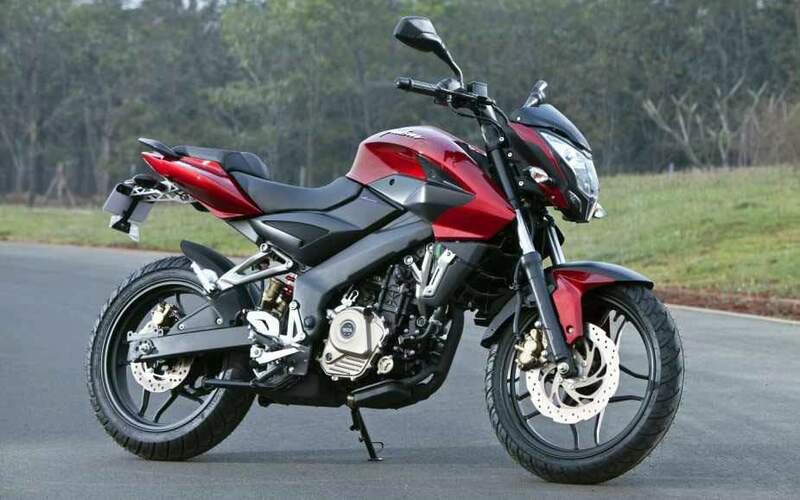 The Bajaj Pulsar 200NS is powered by a similar engine as the Duke, with a Single 199.5cc cylinder (bore and stroke are an identical 72mm x 49mm as the Duke’s thumper) with a six-speed transmission. Both models will also be produced from the same factory in India. What’s different however is the Pulsar is carbureted with a single overhead cam while the Duke is fuel-injected with a DOHC. The Pulsar also makes use of a triple-spark configuration compared to the Duke’s single spark plug. The Bajaj Pulsar 200NS’ engine claims an output of 23.1 hp at 9500rpm compared to the KTM Duke 200′s 24.7 hp at 10000rpm. Torque also takes a slight dip with the Pulsar claiming 13.5 ft-lb. at 8000rpm compared to the Duke’s claimed 14.0 ft-lb. at 8000rpm. Other differences include a larger fuel tank for the Bajaj (3.2 gallon compared to the KTM’s 2.8 gallon tank), non-USD fork, and smaller tires. 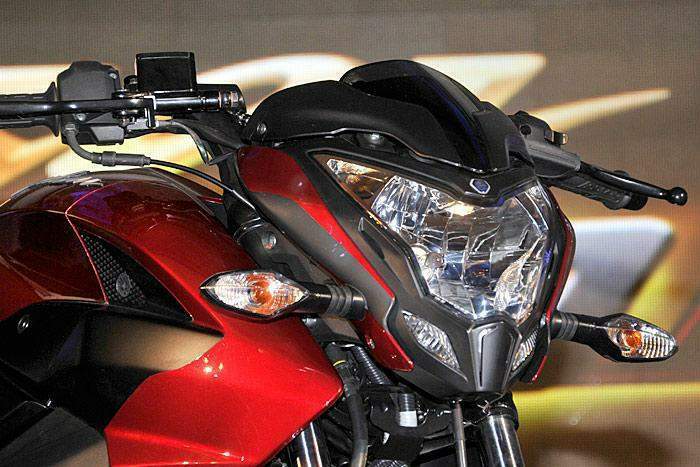 The Pulsar 200NS also claims a curb weight of 320 pounds, about 20 pounds heavier than the KTM Duke 200. Three spark plugs provide unprecedented performance and efficiency - Fast and complete combustion at part load conditions results in better fuel efficiency and ensures lower emissions. The high performance triple spark engine, controlled by an advanced Electronic Control Unit, is the technology of the future. The 4-valve engine facilitates induction of more quantity of charge (air-fuel mixture) and complete evacuation of all burnt gases. This results in increased engine performance – power, throttle response and pick-up at all engine speeds. 4-valve engines can be revved to much higher RPMs, without any engine strain, allowing the rider to experience superior performance. The high performance Pulsar 200 NS engine is kept cooled using liquid coolant, which is better at heat dispension in the engine as compared to an air cooled engine. Liquid cooling ensures that there is no power fading due to overheating and results in longer engine life and the coolant provides for a muffling effect which smoothens engine noises even at high RPMs. The smooth shifting 6-speed gearbox is perfectly mated with the powerful 4 valve, triple spark, 200cc engine ensuring optimal use of the wider range of power delivery.